If 2018 was the year of the notch, it looks like foldable designs and 5G may well be 2019’s biggest mobile industry trends. At least two companies will apparently try to bring the two buzzwords together for maximum hype, and unsurprisingly, these just so happen to be the world’s largest smartphone manufacturers. While Huawei has officially confirmed its first-ever foldable device will also offer 5G support and pop up at next month’s Mobile World Congress ahead of a commercial release in April “at the earliest”, a similar Samsung announcement is still only a rumor. A very credible one hailing from SamMobile’s usually reliable inside sources, but obviously, nothing’s certain until the company says it’s certain. If this fresh gossip does pan out, a 5G Samsung Galaxy Fold is likely to go on sale in Korea over the next few months at an unspecified price. Meanwhile, a US launch feels doubtful, even though the market is not too far behind Samsung’s homeland in terms of 5G network development and deployment. But those rumored Galaxy Fold prices are scary enough with 4G connectivity only, so we reckon Verizon, AT&T, T-Mobile, and Sprint had something else in mind when confirming 5G Samsung smartphone carrying plans. The “big four” US wireless service providers were probably talking about that state-of-the-art Galaxy S10 variant with 5G speeds, which may land as a Verizon exclusive initially. 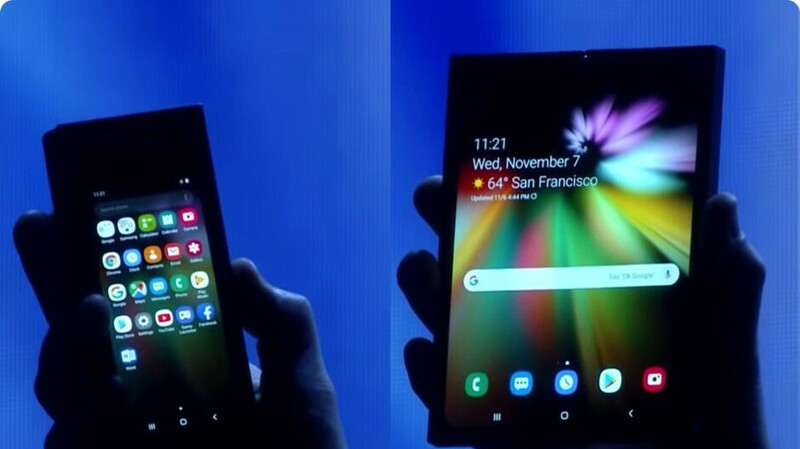 Back to the Galaxy Fold (still an unconfirmed name, by the way), we should mention its paint jobs might have also been revealed today, including blue, green, silver, and black for both 4G and 5G-enabled variants. That’s a lot of colors for a device merely confirmed to ship in 1 million+ units worldwide, so perhaps Samsung is thinking of ramping up production soon. The company’s highly anticipated first foldable device is expected to be showcased in full at a San Francisco event on February 20, although it’s unclear if this potentially Korea-exclusive 5G version will be unveiled at the same shindig. If it’s indeed not coming to the US, probably not.